The correct answer to that question is: June 21, 1788. So what was happening during that 12-year span? The one big thing was a war. The Revolutionary War to be exact. The Revolutionary War began to turn in the American’s favor in 1777-1778. In 1783, the Treaty of Paris ended the conflict with Great Britain, recognizing American independence. Once the war was over, then came the big question: now what? 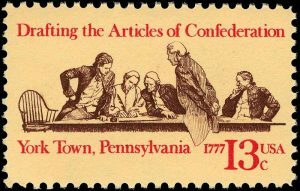 The “now what” question of the late eighteenth century was answered, initially, by the Articles of Confederation. 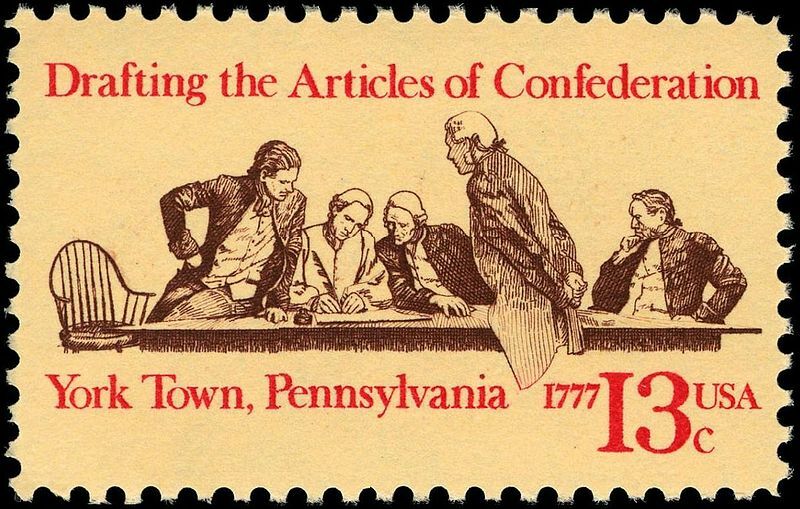 A committee was appointed in 1776 to begin drafting; the Articles were debated for a year until, by late 1777, an approved version was sent to the states for ratification. All thirteen states were required to ratify the Articles — this took another 3 plus years. Of course, time did not stop while waiting for ratification and, in practice, the Articles were in use prior to ratification. The Articles helped direct the Revolutionary War, legitimize the beyond-border diplomacy effort, and deal with Native American relations. This “de facto” system of government served as an outline for big-ticket items of the time. Unfortunately, this governmental outline proved ineffective . . . over time. Under the Articles, the states retained sovereignty over governmental functions not specifically relinquished to the national government. In other words, the Articles of Confederation were a state-first, national-second plan. Consequently, there was no mechanism to compel the states to comply with requests for either troops or funding. The Confederation Congress had no power to enforce attendance by state-officials. The national government, to the extent ordained by the “confederated” states, was poor both figuratively and economically. It needed an army. It needed to build trust with other nation-states. It needed money. So it was that, before this whole system of government grew too much worse (and it was on its way), America’s founding fathers decided to meet and discuss. They did so multiple times, before converging upon Philadelphia, in May of 1787, for a Constitutional Convention. What happened there is the subject of my next post. This meeting in Philadelphia, decades in the making, attended by some of the most outspoken and brightest minds in the land, presented a contract in styles and ideals that formed the very fabric for the political climate we have today. To be sure, today’s political climate is not that of 1787, but the compromised solution of that time deserves attention when considering the debate of today. Previous Previous post: Welcome October Bloggers!